Near the start of your test you will be asked a question regarding your vehicle, and you will be asked another whilst on the move during your test. Should you get any wrong you will only receive a minor mark against you however it does seem to zap your confidence so it does pay to learn these well. Click here for the full list of questions and the typical answers, any of them could be ‘show me’ or ‘tell me’ questions. Turn in the road – Another good video to help you do a turn in the road. Bay parking – Another great video, this time to help you park in a car park. Parallel park – Slightly different to some ways but still a big help. If you want to see why you need to practice then watch the video how not to do it! Dealing with roundabouts – If you are having trouble understanding roundabouts then this link is well worth a look. Dealing with dual-carriageways – For lots of information on all aspects of dual-carriageways. Blue light aware – Everyone seems to panic when they see blue flashing lights, watch the video’s and confidently deal with then. Using your mobile – If this does not stop you using a mobile when driving then nothing will but we see people using them so many times a day! Watch the video and remember it was the result of just one text! Highway code – A link to the highway code online, and it is FREE! Book a theory test – Beware that there are company’s out there ripping people off on the cost of booking a theory test, you should not be paying more than £25 for your test so here is a link to make sure you go to the correct site. 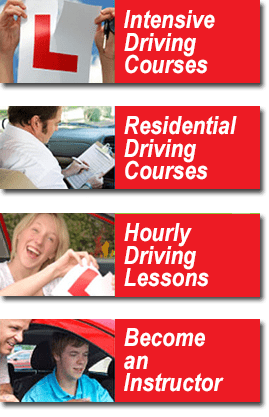 Book a driving test – Just like the theory again you can easily pay too much for your driving test, the cost is currently £62 week days and £75 evenings and weekends (currently not available in Kings Lynn), so click on this link if you want to book the practical test yourself. See the latest videos from the DSA – Lots of videos are available here to help you.